Both products are very similar in that they are both “wrinkle relaxers” and neuromodulators derived from Botulinum Toxin Type A. Botox and Dysport are neuromuscular blocking toxins that work by temporarily weakening specific muscles of the face, and diminishing the appearance of wrinkles. While there are similarities between these 2 products, there are also differences. Dysport is a fairly newer product that was FDA approved in 2009, while Botox has been in physicians and practitioners offices as a go-to muscle relaxer since 2002. Although Dysport is the newest competitor to Botox in the U.S., it has been used in Europe in for several years. The proteins in Dysport are slightly smaller than Botox, so it is said to activate more rapidly than Botox. Another difference is that Dysport is more diluted than Botox, as 1 unit of Botox is roughly equivalent to 2.5-3 units of Dysport. This means patients may require more units of Dysport than Botox. In October 2017, Allergan announced the FDA approval of Botox® Cosmetic for its third indication, the temporary improvement in the appearance of moderate to severe forehead lines associated with frontalis muscle activity in adults. This announcement makes Botox the first and only neurotoxin indicated for three facial treatment areas, forehead lines associated with frontalis muscle, crow’s feet and glabellar lines. Some doctors refer to Dysport as “turbo-charged Botox. They also say it’s the only neuromodulator with a quicker onset action that starts to work in two to three days, whereas Botox may take a week or longer to see results. Some patients also found that Dysport wore off too quickly, and they needed to make more frequent visits for treatment. Botox normally lasts 4-6 months for the temporary relaxation of frown lines. In the end, the choice between Botox and Dysport may come down to a simple preference for both the injector and the patient. 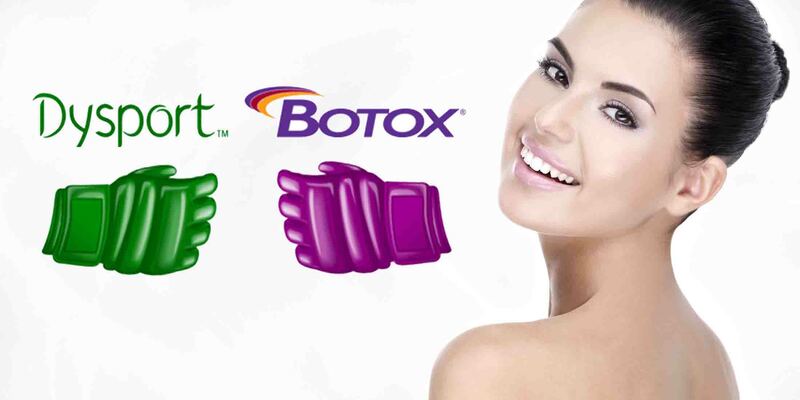 For more information on Botox, visit https://www.lastinglooks.ca/botox-toronto/ at Lasting Looks Clinic in Toronto.